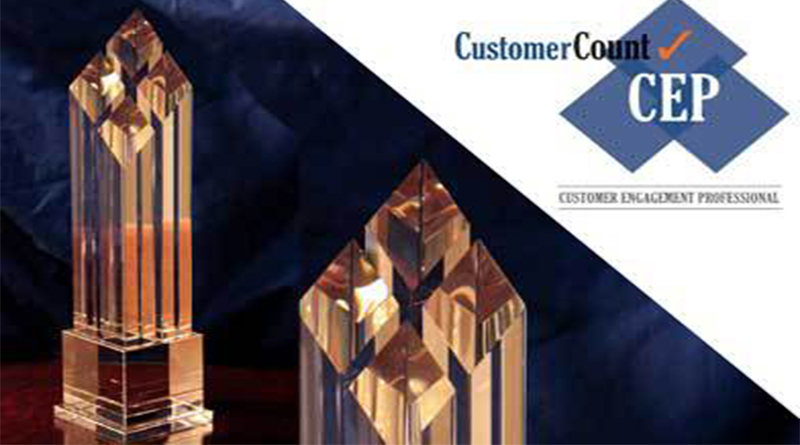 INDIANAPOLIS, IN (November 28, 2018) – CustomerCount® and Resort Trades magazine announce that nominations for their annual CustomerCount Customer Engagement Professional (CEP) Resort Trades Award will close December 10, 2018. This reflects a one week extension of the previous deadline. The individual winner and the winner’s company will be announced in January and featured in Resort Trades in February. The coveted award recognizes outstanding leaders who exemplify customer engagement within the timeshare resort/hospitality industry. Customer Engagement Professional nominations may be submitted for timeshare resort/hospitality industry customer service team members such as managers, assistant managers, front desk people who are in daily contact with members and guests. To qualify, these outstanding team members must exemplify the highest standards in customer engagement and service. The nomination process includes completing an online nomination survey to measure the nominee’s qualifications and qualities. The survey is powered by CustomerCount’s software system which measures and reports customer feedback through branded, customized online surveys. “The system can be utilized in numerous ways–including an efficient method in determining a winner for this award,” said Robert Kobek, president of CustomerCount.